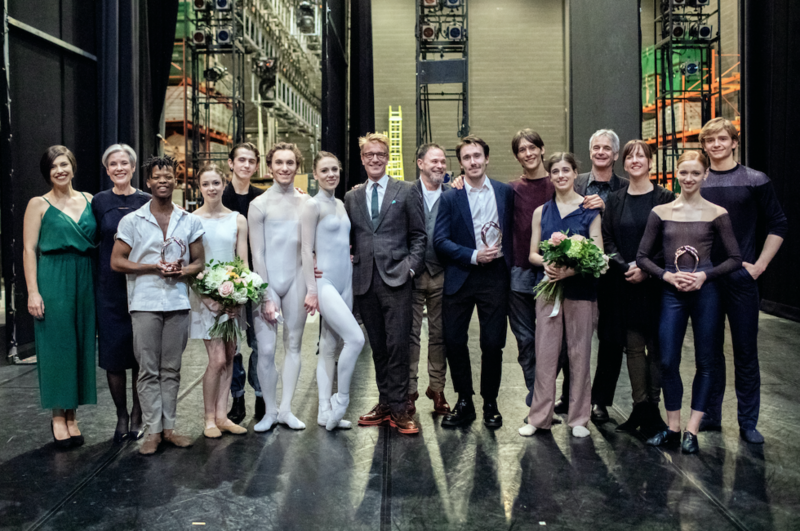 This year's contestants included American Ballet Theatre's Aran Bell and Catherine Hurlin, The Hamburg Ballet's Sara Ezzell and Matias Oberlin, The National Ballet of Canada's Jeannine Haller and Siphesihle November, and the Royal Danish Ballet's Emma Riis-Kofoed and Mattia Santini. Out of the uber-talented group, Hurlin and November were awarded the two prizes, winning $7,500 and a sculpture by Jack Culiner. In 2009, a choreographic prize honoring the best new work was added to the competition. This year, The Hamburg Ballet's Kristian Lever won for his work An intimate distance, danced by Ezzell and Oberlin. Hurlin, a recently promoted soloist at ABT, is no stranger to prizes. Following a long list of competition wins and scholarships, she won the Princess Grace Award last year. The New York City-native danced two pas de deux, both with Bell, an ABT corps member. Their classical choice was from Act III of Don Quixote, and they showed off their contemporary chops in a new work by Jessica Lang titled Let Me Sing Forevermore. The South Africa-born November was one of our 2018 Stars of the Corps. He trained at Canada's National Ballet School before joining the company in 2017. November danced with fellow NBoC corps dancer Jeannine Haller in a pas de deux from Act II of La Sylphide and in The Other Side, a new work by Alysa Pires. We've long had our eye on both Hurlin and November, and we're thrilled to see them join the impressive ranks of past Erik Bruhn prizewinners including Julie Kent, Vanessa Zahorian, Cory Stearns and Ida Praetorius. A huge congratulations to all who participated!